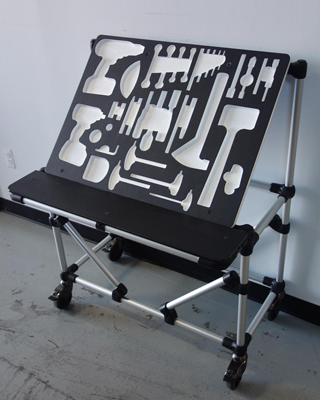 If you’ve ever been frustrated by missing or damaged tools then it’s time to organize your workspace! Are you more productive when organized? When everything is where it should be it makes it so much easier to focus on the task at hand. No interruptions to look for vital components and tools. Imagine your whole production line with the same advantage, every tool exactly where it should be, kept in tip top condition. Getting organized is easy with integrated shadow boards. 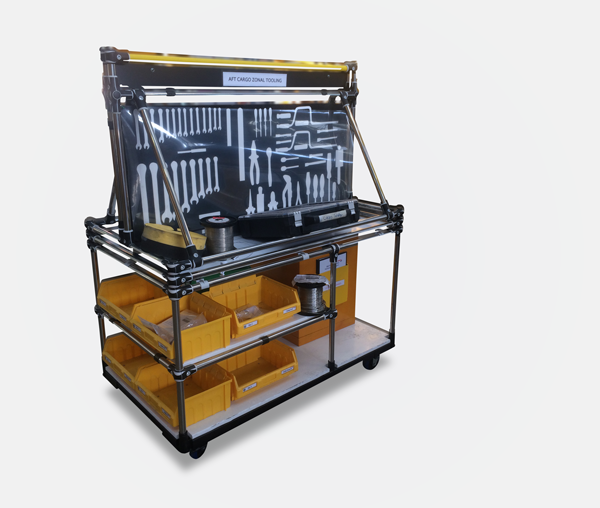 Designed to fit with workbenches, carts and trolleys to support the efficient completion of tasks by keeping your tools in the correct position and ready for use. Our shadow boards are available in a range of colours with anti-static (ESD-protection). Custom-made to fit industrial applications and to suit the needs of your production line. Created especially for the tools and components you use, they help to increase productivity, save time and maximize your profits. TRILOGIQ offer a complete range of consultancy, project management, design, build and component supply services. Contact us more information on shadow boards and integrated solutions supplied bespoke to suit your unique manufacturing requirements.